I did the awfulest thing this morn. I slept till 10:30. I worked on my suit jacket this aft. 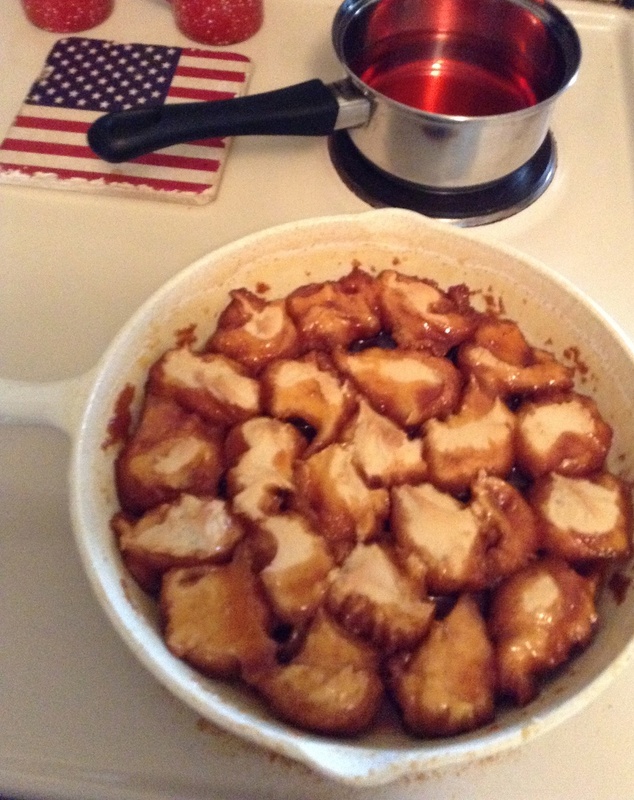 Made caramel dumplings for supper. Tuck is so cute. He just plays & lays on your shoulder like a baby. Wrote letters tonite. Well! If sleeping till 10:30 is the awfulest thing she’s ever done, she’ll turn out all right! I believe the suit jacket she’s working on is the suit she’s making for after her wedding, for traveling on their honeymoon. 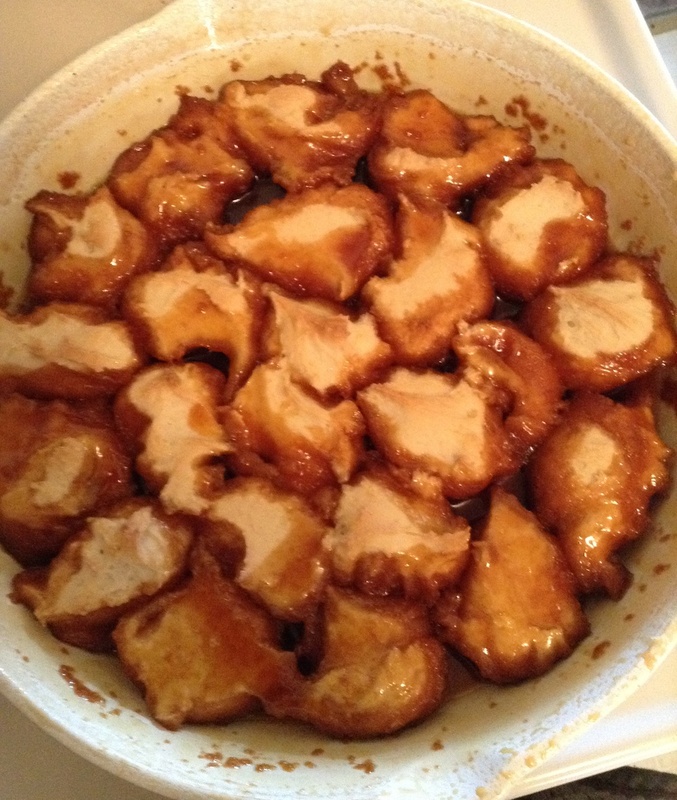 I had never heard of Caramel Dumplings till now, but My Cowboy loves caramel anything, so I decided to give them a try, using Hazel’s own recipe. I’ve updated it a little for you here to make it a little more clear. They passed the Cowboy test, so it was worth spending a little time in the kitchen today! Burn the sugar in a heavy non-stick skillet over medium-high heat, stirring constantly. Stir in the butter, then add the water slowly, still stirring constantly. Reduce heat to medium, and let the mixture boil for 10 minutes, stirring very frequently. Stir the baking powder into the sugar, then add the milk and butter. Mix well, and gradually add the flour to make a stiff dough. 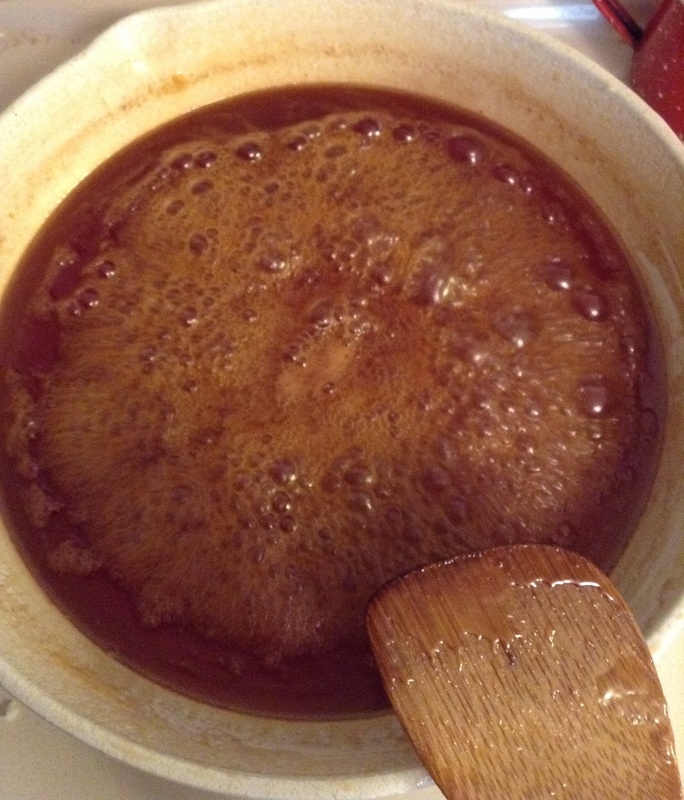 Drop the dough by teaspoonfuls onto the hot caramel sauce in the skillet. Bake in a 350-degree oven for 25-30 minutes or until done. Let cool a little, and serve with whipped cream. You need to use a pan that can make the transition from stovetop to oven, to prevent having to move the sauce into another pan for baking. This is a messy dish! I used my porcelain-coated cast iron skillet, and it worked great. A heavy-bottomed stainless steel pan would probably also work. Burning the sugar was the scariest part! First, it crystallized, then it turned slightly brown, then it liquefied, then turned into a wonderful brown sticky sauce. Add the water gradually, because it tends to want to “flare up”, and you don’t want any cooking injuries, or nasty messes. It’s a good idea to have all the ingredients measured out ahead of time, have the boiling water already boiling, and all your needed utensils at hand when you start, because you can’t walk off and leave it, and it seems everything happens at once! Here’s how they looked when they came out of the oven. MMmmm! The caramel sauce gets all sticky around them, and they’re very sweet and rich. If My Cowboy likes ’em, you know they’re good! While I had water boiling anyway, I made another batch of hummingbird food. I use 2 cups of water and 1/2 cup sugar, boil it for 1 minute, then let it cool, and fill up the feeder. My Cowboy put some red food coloring in this batch, even though we usually don’t even bother with that. It’s about time for the hummingbirds to stop coming around. The weather is starting to cool off, and the days are getting shorter. Worked on Moms dress & my rag rug today. 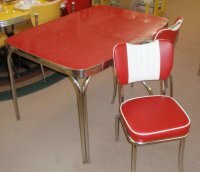 I’m going to Judy’s tomorrow. 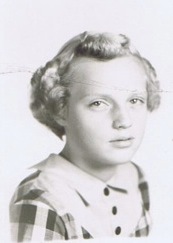 Talked to her today. Me, Mom & Daddy went up to Spencer’s tonite. Made cherry dumplings for supper. The visitation for Mrs. Spencer, back when it was held at the home. She’s plugging right along on Hope Chest items. I could not find a family recipe for Cherry Dumplings, but I searched online and found this one on Taste of Home: Cherry Dumplings. It sounds really good. I may have to try it! The bad part is, My Cowboy doesn’t like cherries, so I’d have to eat it all by myself. Or is that really a bad part? I slept this morn till 9:00 – as usual. Ironed this aft. & baked a spice cake. Dale & I are taking Barbara, Peggy & Patti to the show tomorrow night. Its been real hot today. Bye. She’s doing a lot of sleeping in late. I’m surprised Mildred would let her do that! Maybe she’s at work and doesn’t know. Using another drive-in safety net by taking her cousins and Dale’s sister to the drive-in with them. If they take the kids along, then Dale won’t be trying anything! 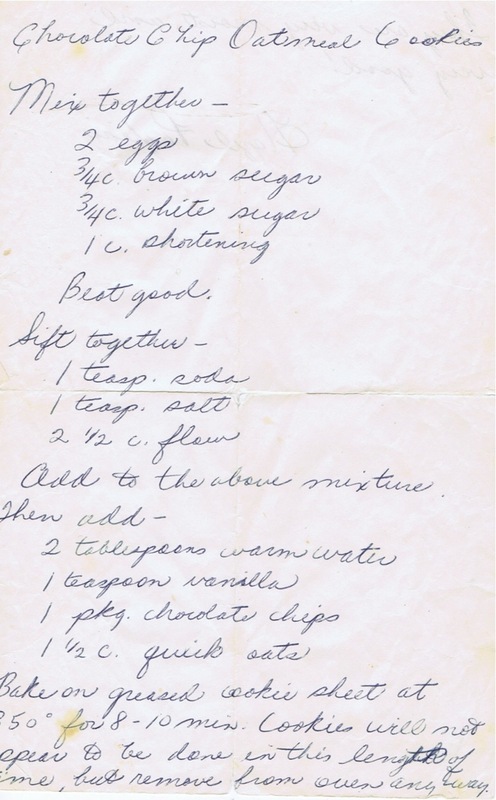 I did not find a Spice Cake recipe in Hazel’s collection, nor did my sister find one in Mildred’s cookbook, but I have this recipe for Spice Cake, with no idea where I got it. But it made it into my “special recipe” collection, so that means it’s really good (and easy)! In a large mixing bowl, combine the flour, sugar, baking soda, spices, and salt. Add the butter, egg, and buttermilk. Beat until smooth. Fold in the raisins and walnuts, if desired. Spread batter evenly in a greased 8″ x 8″ baking pan. Serve warm, cut into squares, with dollops of whipped cream or little scoops of vanilla ice cream. Yummy! Just stayed home all day. The day was so long. I made a banana cake this aft. Ruby & Roy were out this eve. & me, Mom & Ruby worked in the garden. I’ll bet it seemed like a long day, after all the running around she’s been doing! 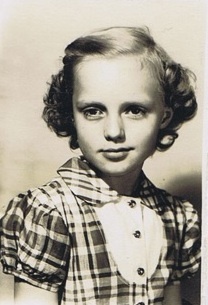 I don’t know if Hazel or her mother had any special recipe for Banana Cake, but if I find one, I’ll post it. In the meantime, I will tell you that I’ve tried both of these, and they’re both fantastic! Its been real pretty out today – about 70. I made cookies this morn. for the deep freeze & this aft. Buck & I fished at the pond & then me & Puz tore down hog house. Dale came tonite & we went to church & then home with his folks to look at pictures. Ooh, what a nice spring day! And Hazel was sure busy. 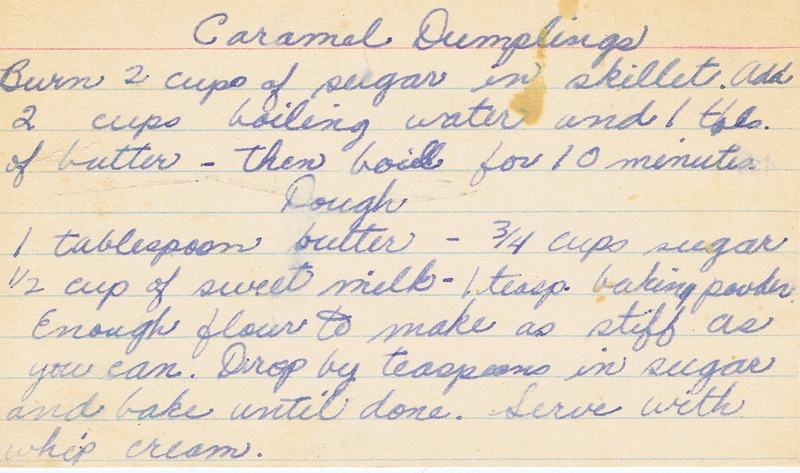 The women in our family all share a recipe around called “Refrigerator Basic Cookie Recipe” — real imaginative, huh? Anyhow, this recipe makes a basic dough, and then you can add all sorts of things to it to make different kinds of cookies. Then you roll the dough in sticks, wrap it up and put it in the freezer, and when you want cookies, you just take out a stick, slice it up, and bake what you want. That way, you can have several varieties of cookies, all on short notice — a great idea, right? So here’s the recipe . . . When you have some spare time, just whip up a batch for the freezer, and you’re good to go the next time you have company on short notice, or need cookies for some event or other. Mix until dough is smooth. This makes a fairly large batch of dough. Once you’ve made your additions, roll the dough into sticks about 1 1/2″ in diameter. Wrap them in wax paper. Chill or freeze. When you’re ready for freshly-made cookies, just take out a roll, slice it, and bake them on a lightly greased cookie sheet for about 10 minutes at 350 degrees. It’s wonderful to have cookies ready this quickly when you get a hankerin’ for a sweet snack!